Clas Ohlson opened its first Lab Store today. The store is located in Espoo, Finland, and two more Lab Stores will open this autumn, in Helsinki, Finland, and in Stockholm, Sweden. 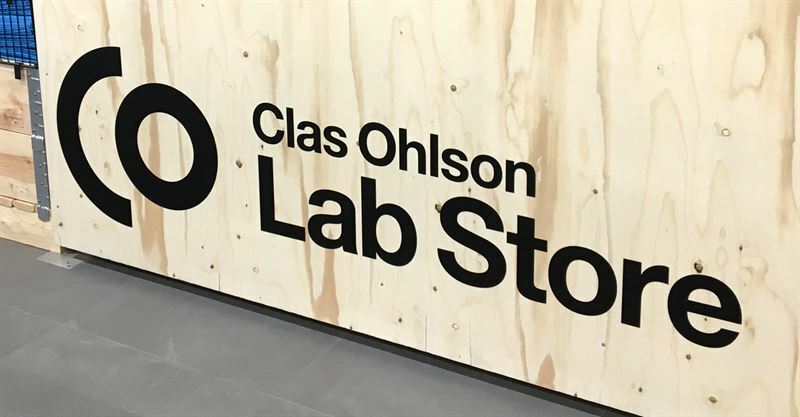 A Clas Ohlson Lab Store is a concept store, where customers can experience Clas Ohlson in a new and exciting way. Customers can take part in lectures and events, and have a more tangible say in Clas Ohlson’s product range by testing new products before they are introduced into the wider range. A visit to a Clas Ohlson Lab Store will be a new kind of experience, and what the Lab Store will offer depends on its location and the season. The Lab Store in Otaniemi, Espoo, is located close to Aalto University and the product range is tailored to students. The offer and the entire experience will evolve and change depending on students’ needs. Sweden’s first Clas Ohlson Lab Store will open on Sveavägen in the centre of Stockholm this autumn. Our second Lab Store in Finland will open in Hakaniemi, Helsinki, also this autumn. Clas Ohlson Lab Stores will have a clearer focus on services, which will be an increasingly important part of Clas Ohlson’s offering – simplifying life in all kinds of homes. Clas Ohlson was founded in 1918 as a mail order business based in Insjön, Sweden. This year, we are celebrating 100 years as a business with customers in five markets, approximately 5,000 co-workers and annual sales of approximately 8 billion SEK. Our share is listed on Nasdaq Stockholm. A lot has happened since the start in 1918, but one thing has remained the same over the years; that we want to help and inspire people to improve their everyday lives by offering smart, simple, practical solutions at attractive prices. Read more about our history on clasohlson100.com/en or visit about.clasohlson.com for current events and information.